The finest bike festival in Slovenia with the toughest mountain bike race in the region of the Julian Alps will find its home for third time in Bled, Slovenia in 2020. Bled Bike Epic is 104.4 kilometres long and with 3,147 metres in elevation difference. It is one of the toughest Mountain bike races in Slovenia. Bled Bike Marathon is 63.2 kilometres long and with 1,885 metres in elevation difference. It is one of the most attractive mountain bike races in Slovenia. Simply Clever is 24 kilometres long race with 350 metres in elevation difference. It is one of the most attractive family friendly race in Slovenia. 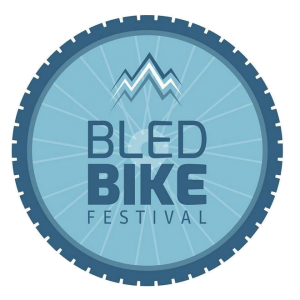 The Bled Bike Festival is the leading bike festival in Slovenia and takes place for the third time in Bled from 20th to 21st of June 2020. We have created a unique bike event in the form of a two-day festival. The Most Beautiful bike race. The family friendly bike race. Because ŠKODA was born on a bike, we proudly support Bled Bike Festival, the Slovenia’s finest cycling event. Bled Bike Festival is the largest bike festival in Slovenia with the toughest Bled Epic mountain bike races in the region of the Julian Alps, Slovenia. Join us on June 21st, 2020 and choose from one of our three premium and unique bike race. Join us in creating a successful festival experience full of synergy.